Danika’s throaty laugh came again, followed by a deeper chuckle. I could picture her tossing her long black hair over her shoulder, smiling the way all girls smiled at Zayne, and I pushed open the door. They stood so close their souls touched. Really Really REALLY enjoying this series! 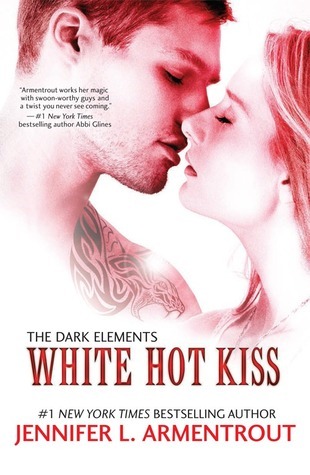 This entry was posted in Teaser Tuesdays and tagged Cynthia Stacey, Jennifer L Armentrout, Teaser Tuesday, White Hot Kiss. Bookmark the permalink. It is YA but a little bit steamier than some of the other stuff. The Covenant series is my favorite of hers and couldn’t get enough. So far this is awesome. I’ll post a review when I am done. Thanks for stopping by. I could picture that scene so well. Great teaser. Oh no . That might not be that good. Thanks for visiting. Wow! That is excellent. However did she think of such a thing! I’ve heard such good things about this book and been seeing it everywhere!